If you don’t want to raise a bully, don’t be one. Bullying isn`t, and will not, be a small thing no matter how the society gets used to it. When kids are bullied, it leaves a stain that my last with them their entire life. 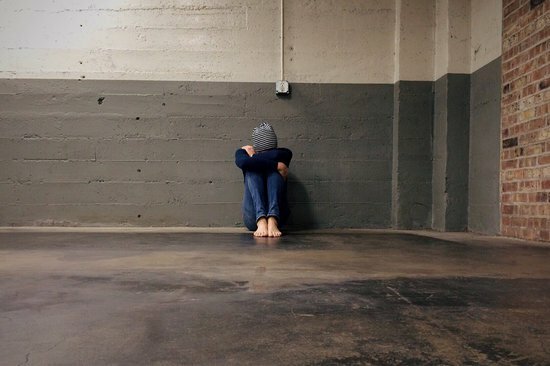 A 2014 study by the King’s College London, found that the adverse effects of childhood bullying —i.e., physical, social and mental issues— were still evident nearly 40 years later. The results of the study show that 43 percent of the surveyed participants were bullied, one-third of whom were frequently bullied, and they were more likely to have physical and cognitive problems at the age of 50. And guess what, even bullies are negatively affected by what they do according to Young-Shin Kim, M.D., assistant professor at Yale School of Medicine’s Child Study Center. “The perpetrators who are the bullies also have an increased risk for suicidal behaviors,” Kim said. The issue is serious, and schools` anti-bullying programs can only do little about it. Have good consistent communication with your child. Talk to them every day about school and their friends. Many bullies do this because they feel their parents are angry at them or don`t love them enough according to Dr. Rashmi Shetgiri, Assistant Professor of Pediatrics at David Geffen School of Medicine at UCLA. You want to establish an open relationship with your child, so when something`s going on at school, they will come out and tell you. “Parents who share ideas and talk with their child, and who have met most or all of their child’s friends are less likely to have children who bully,” Shetgiri said. Shadowing your kids and overprotecting them may backfire on you. In some cases, extremely authoritarian parents will end up raising children with Dependent Personality Disorder (DPD) which is the scientific term for feeling anxious when not being surrounded by others. You don`t want to raise a bully, but you also don`t want your kid to be bullied either, do you? A 2013 study that involved more than 200,000 kids found that both violence and overprotection make children more susceptible to bullying. If you think you`re an overprotective parent, then the first thing you should do is to ask yourself, “Where that need to control comes from?” The study suggests that overprotective parents usually suffer from a lack of assertiveness and autonomy which makes them compensate by becoming so strict and domineering with their children. You must realize that your story probably won`t be their story. Yes, the world is harsh, but you have to prepare your kid for it. One day they will grow old and resent you for the so many skills they could`ve learned if only you gave them the freedom to experience the world and express themselves adequately. A recent study by UCLA suggests that classroom diversity can reduce bullying among students. The study found that students at these schools felt more safe, less lonely and less prone to bullying compared to students from less-diverse schools. Your kid can get a similar experience if you encourage them, or at least allow them, to have friends of different races and ethnic groups. It`s somehow similar to traveling the world. People who travel a lot —especially to Africa and Asia— know that mingling with people from different backgrounds makes them wiser and develops their capacity for empathy and human connection. You`ll also help them improve their emotional intelligence which will benefit them in the long term both financially and relationship-wise. You’re your kids’ first teacher. They watch you, learn from you, and do like you – and you’d better make sure you’re the best role model you can be. Discipline yourself and try to keep your cool more often. Yelling and other aggressive behaviors such as spanking rarely raise a mentally-healthy child. A team from the University of Manitoba tracked children from 500 families over a two-decade period only to realize that spanking doesn’t work. “Virtually without exception, the study found that physical punishment was associated with higher levels of aggression against parents, siblings, peers, and spouses,” says the study co-author, Dr. Joan Durrant. Another study by the University of Pittsburgh has recently found a link between parental aggression and the kid’s bad grades. So, how to discipline your kid? First off, you must know that the opposite side of aggression, which is being “soft,” doesn`t work either. Studies found offering compromises doesn`t always bear fruit. Many parents who often offered compromises to their misbehaving kids reported that their kids became more annoying and defiant over time. It was reasoning and talking to kids as if they were adults that worked better with these kids over the long term. Experts also recommend using timeouts but in a slightly different way. According to Ennio Cipani, Ph.D., it`s better than you tell your kid ahead of time which behaviors will put them in timeout. This makes them less resentful when you take action, and teaches them to respect the consequences of their actions. Keep an eye on any bullying behavior among your kids. Studies suggest that kids who bully at school are likely to also bully their siblings at home, especially big brothers who usually bully to feel secure. To deal with this problem, experts suggest you work on building more empathy among your kids especially if it`s a typical son-daughter bullying situation. Teach them the importance of holding each other`s backs, encourage all of them when one of them accomplishes something, never speak ill of one in front of the other and love them equally.